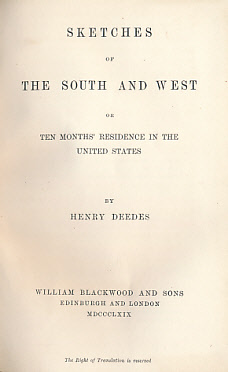 Barter Books : Deedes, Henry : Sketches of the South and West or Ten Months Residence in the United States. 170 x 120 mm (7 x 5 inches) - vi, 170pp. VG : in very good condition. Spine lightly scuffed and faded.